unfortunately i havent got a scanner to put my models up yet. my models that i have made are actual drawings not pictures. as before these models im creating are low detail and take time to draw up. at the moment im doing a blind build of an alstom flexity tram. i am doing great at the moment but i havent completed it yet. i hope that my fellow paper model transport people understand this. They are already in A4. Just click on the picture of the model and print it out. 'Mungojerrie', have you considered my photos? Last edited by 5000AMC on Wed Jun 26, 2013 7:07 pm, edited 2 times in total. Bring back the 'Old Articulated' buses in 2013 for the Rail Subs! Location: Any suburb around Adelaide were there are lots of Admet vehicles! Hello, everyone. I'm sorry for the delay in models creation. I was really busy doing my PhD research. Now I'm on vacation. And I'm in Australia again! So be ready for new australian transport models! I'm in Adelaide right now, but I'm going to visit Brisbane, Sydney and Melbourne. If anyone have any ideas about interesting places (connected with transport) to visit, please PM or email me! Arceus2 wrote: 'Mungojerrie', have you considered my photos? 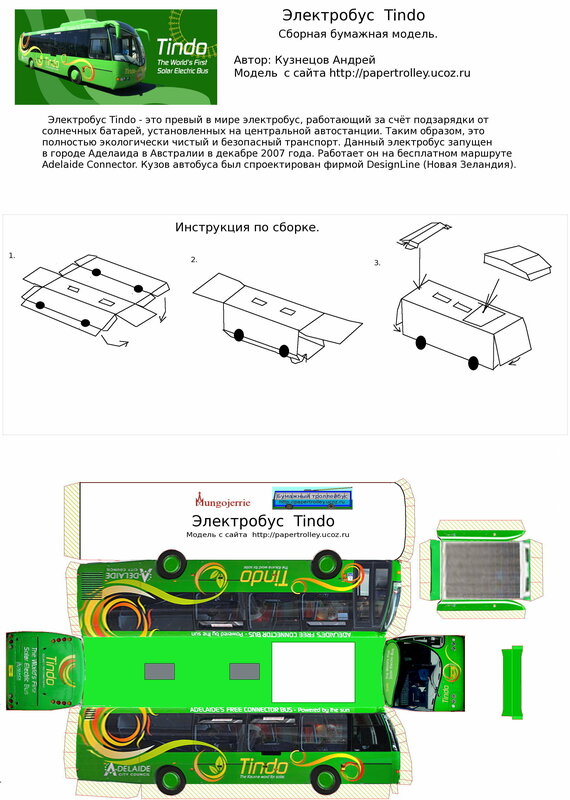 I have just checked this topic and found photos only for one side of MetroBus vehicle, but this is not enough to make a model. Maybe there were other photos for this bus... Maybe I'll make some photos of such buses by myself during my stay in Sydney. Mungojerrie wrote: Hello, everyone. I'm sorry for the delay in models creation. I was really busy doing my PhD research. Now I'm on vacation. And I'm in Australia again! So be ready for new australian transport models! I'm in Adelaide right now, but I'm going to visit Brisbane, Sydney and Melbourne. If anyone have any ideas about interesting places (connected with transport) to visit, please PM or email me! I do have other photos, it's that I can't fit them all in one post. I was only showing you the first few so if you wanted the rest PM me. The only problem is that I don't have any photos of the air-conditioner. Is that alright? Also, if you want to see buses, visit Hurstville Bus Interchange (which was where I got the photos of the M41 bus) or visit Sydney CBD (it is bustling with STA Buses). Arceus2 wrote: I do have other photos, it's that I can't fit them all in one post. I was only showing you the first few so if you wanted the rest PM me. The only problem is that I don't have any photos of the air-conditioner. Is that alright? I think if you have all the photos for this bus, I can make a model of it. Just because photos are quite good. Can you email them to me or send by PM? Here is a beta-version of CB80 artic model. Bus 2846 from Adelaide. No image available because I have no colour printer here and cannot assemble this model. If anyone do this model, please let me know and post photos in this topic. So I'm waiting for your feedback. I look forward to Victorian buses! As not many people have done them because most go for the trams. Adelaide, home to the best buses in Australia!!! These pictures above are bigger versions of (Tindo and 2846), if anyone would like the bigger version, please send me an e-mail (not a PM). Last edited by retiredbendy on Fri Jul 13, 2012 8:35 pm, edited 1 time in total. 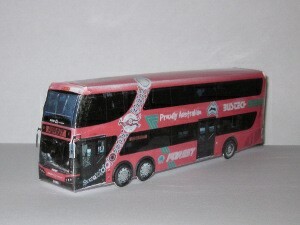 Mungojerrie wrote: I think if you have all the photos for this bus, I can make a model of it. Just because photos are quite good. Can you email them to me or send by PM? Mungojerrie, do you mind if I don't have any photos of the mirrors nor do I have good photos of the air-con? Well, you can use an STA's air-con and recolour it to red & then add the fleet number (2220) in white. Also, you should change the desto to the original M41 desto as I took the photo when it was setting down. So the desto currently shows 'CHARTER 411'. But I found one you could use. Can you also find the owner of the GIF file and ask for permission to use it if you want to use it? Sorry about the amount of questions. I'll then e-mail you the photos ASAP. It's a GIF file. I found it on another member's avatar so apologies to the owner. 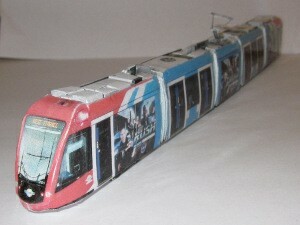 Just a few more requests Mungojerrie, can you make models of Sydney Trains,Trams and Monorails e.g.Cityrail, Metro Light Rail/Sydney Monorail when you visit Sydney? And also, can you make Veolia Transport NSW and Punchbowl Bus Company models if you visit Hurstville Bus Interchange and STA models when you visit Sydney CBD? Sorry for the VERY LARGE request. I'm not sure if this is relevent but I wonder if Mungojerrie posts here anymore. Arceus2 wrote: I'm not sure if this is relevent but I wonder if Mungojerrie posts here anymore. Hello everyone! I haven't been here for a long time because I'm really busy with my work, but now I'm here and I have really good news. I'm working on a new project. It is a model of Custom Coaches CB60 Artic bus in 1:43 scale. One half of the bus is already finished. Second part is under construction. It will be one of the most difficult models, but I hope I'll made it. Of course, all the "sources" will be published after some corrections and "refinements" during first assembly of the model. Now I can tell that you will need approximately 10 sheets of paper and 20 hours of free time to build this model. Mungojerrie wrote: Yes, there will be models of CB60 Combo Scania (I forgot the bus number, maybe 958) and Volgren CR224L Scanias (3207, 3215, 3311 and 3314). Maybe one of these models will be next. Any news on the 'CB60 Combo Scania' or the 'Volgren CR224L Scanias'?? Custom Coaches CB60 Evo II model in 1:43 scale (see above) is now available for download: http://papertrolley.ucoz.ru/load/0-0-0-466-20. You will need 10 A4 sheets of paper to make this model. Frame details are also included. It is recommended to use heavier paper for body assembly. There is no assembly instructions available (coming soon). 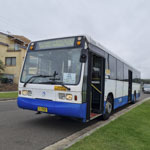 Is there any chance of paper bus models from NSW? I have some very close to square on pics of a STA CB80. Shall be passing these onto Mungojerrie very soon.